You are all Eggcellent ! Well done to all of you who took in our photograph competition -'NewLife' in support of raising funds for our local foodbank. Your efforts were amazing. Well done to our overall winner ! Delivering New Life .........Wow ! We would like to say a huge thank you to all of our MOthers who joined us for a Mother's Day Brunch on Friday 29th March. The children and staff enjoyed sharing their lunch with all of wonderful Mother's and Grandmother's. It was a very special treat for us all. We began our day by a visit from Stuart from the food bank. He told us some fantastic Bible stories about Jesus and how we can help those in times of Need. Over the year we will be supporting our local charity in many ways. Throughout the day we took part in a lot of exciting activities linked to our favourite authors and stories. We had a book swop shop where we all had the opportunity to go home with a new book and to end our day some of our families and friends joined us to share a good book. It was great ! What a week we have had ! Healthy mind, healthy heart and health spirit ! 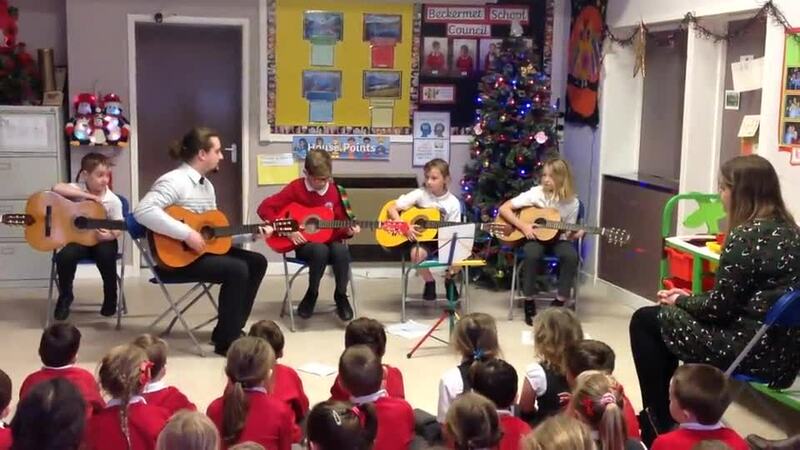 We have been involved in a range of activities. Daily mile (which we are going to do every day !) Yoga! Yummy art ! Healthy Choices ! Recycling art ! Lots of physical and healthy well being activities. PHEW ! 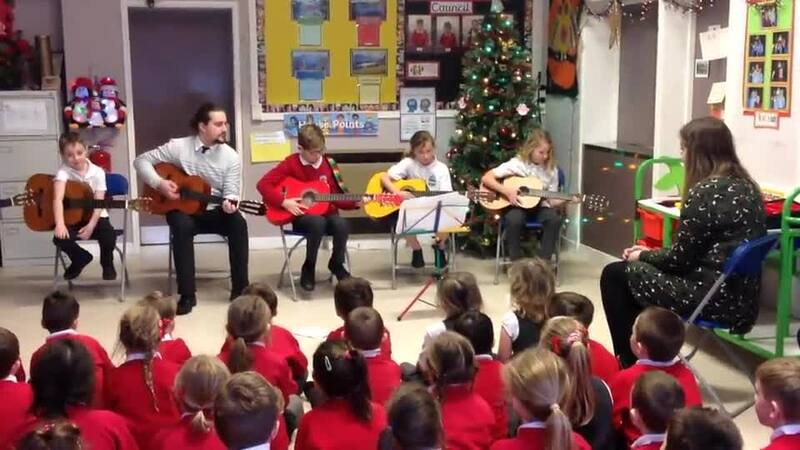 Our children showcase their amazing talents at Christmas performing their guitar skills. Wow !